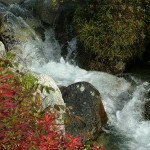 TALKEETNA: Today offers a great sleep in, as part of your vacation, should be relaxing! 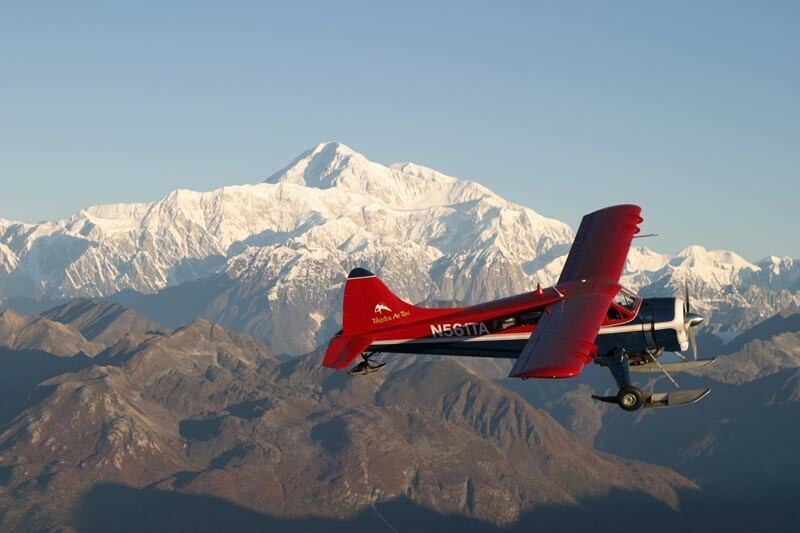 Late this morning, you will visit the home of Talkeetna, a local town sporting the most photographed scenes in our state, the towering peaks of Mt. 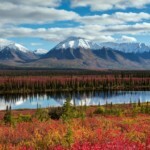 McKinley & the Alaska mountain range. Only 1 ½ hours north, this town is a hub of international mountain climbers. 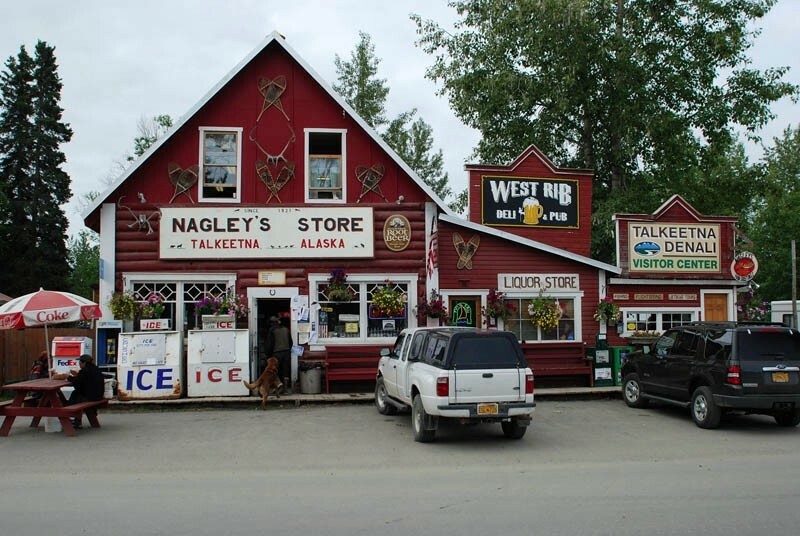 Arriving in Talkeetna, a short town tour will show you all the local eateries and shops. Then, leisure time will allow you to enjoy lunch on your own as well as some time to shop for local artists hand-made items. This afternoon, a premium adventure begins. Click the option title below to show and hide details. 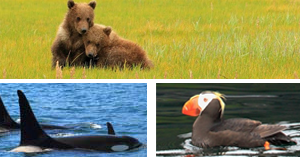 The BEST adventure in Alaska…this magnificent flight takes you within six miles of Mt. McKinley’s summit. 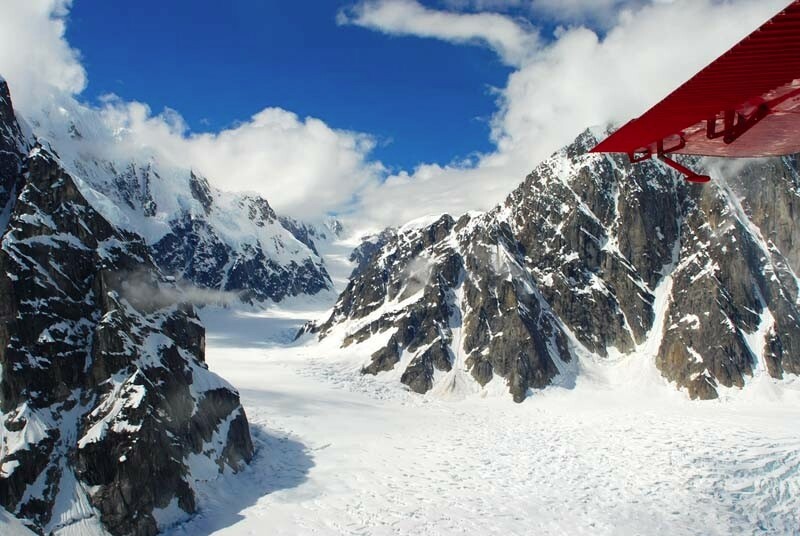 As your flight departs Talkeetna, you begin to see how the last ice age has shaped the land. Moments later you enter a world of rugged high mountain peaks and wide glacier filled valleys. 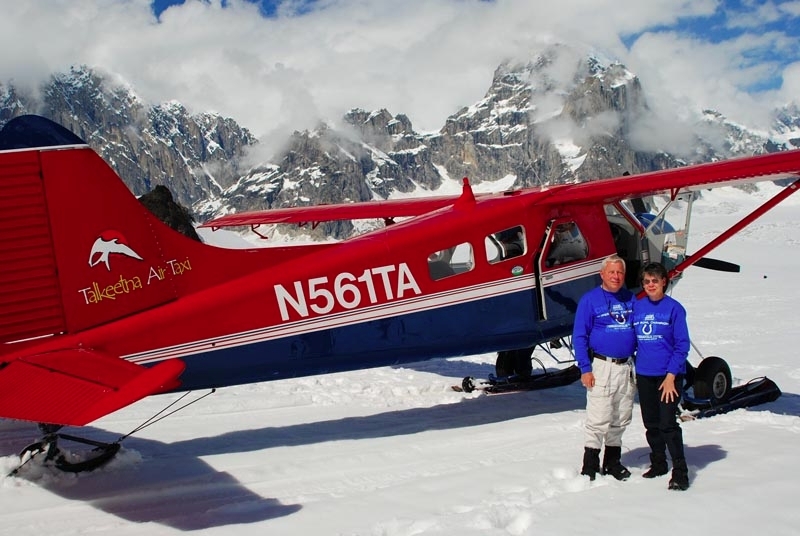 Listen as your pilot describes the natural wonders of Denali National Park. 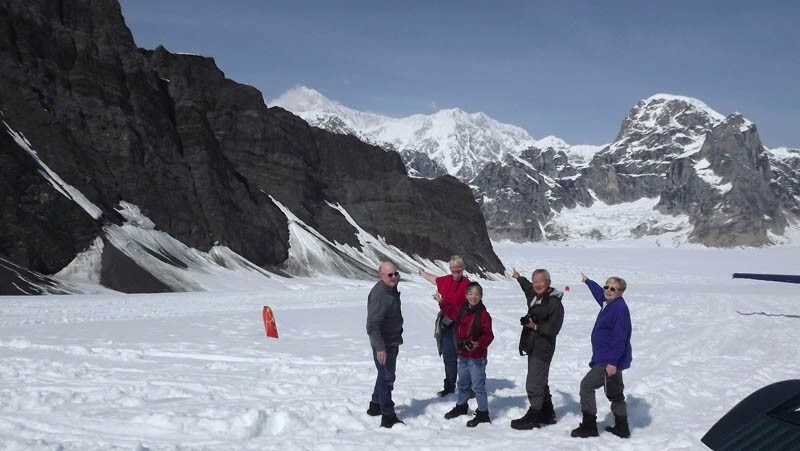 See the Sheldon Amphitheater, beautiful Ruth Glacier and the Great Gorge (the world’s deepest – almost 2 miles from top to bottom). 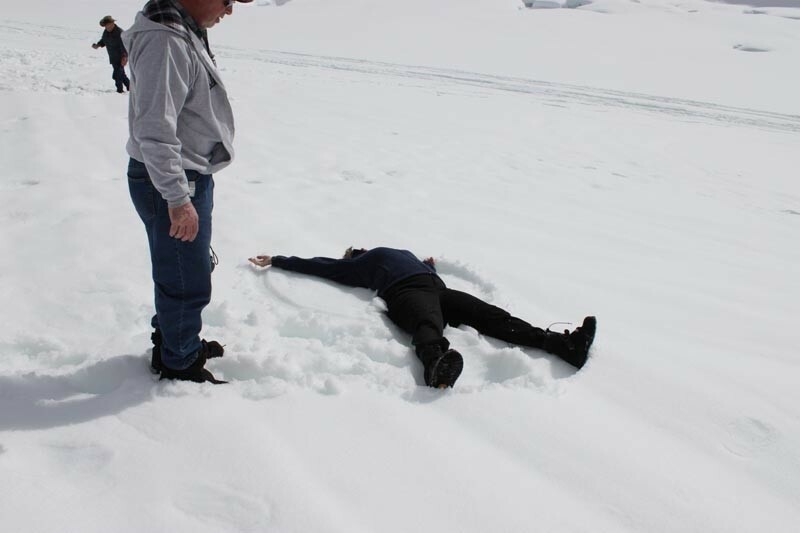 “No visit is complete without this experience!” Land on the Sheldon Amphitheatre glacier beneath Mt. McKinley. The aircraft are equipped with skis, floats, and voice activated headphones. Passengers, each with comfortable window seats, enjoy narration by an experienced pilot-guide highlighting points of interest including geology, wildlife, and history. Flight time is 1.5 hrs and includes a glacier landing. If flight seeing is not your preferred adventure, talk to your tour coordinator for replacement options, such as zip-lining, rafting, longer dog sled ride, or trout fishing depending on time of year. This evening, enjoy dinner on your own at any of the several local restaurants, or at one of the two premium restaurants at your lodge. Overnight at your Talkeetna accommodations.